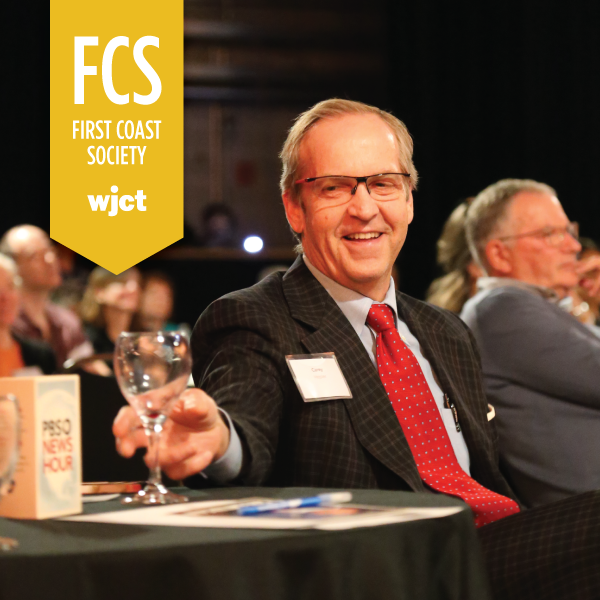 The First Coast Society is comprised of citizens of the First Coast who share WJCT's commitment to excellence and support its continuing efforts to enrich the First Coast community, and who help WJCT take the lead in delivering cultural, educational and public affairs programs directly to First Coast homes and classrooms free of charge. Membership in the First Coast Society is provided to supporters who make a significant unrestricted contribution monthly or annually. Your investment is a contribution that will pay off for years to come. WJCT, Inc. has been recognized for exemption under Section 501 (c) (3) by the Internal Revenue Service. Your charitable contribution, less the fair market value of any goods or services received, is tax deductible as allowed by law.